Thanks! I can tell you once in awhile what family the mushroom comes from, but I know precious little about them. I ate some oyster mushrooms raw in the woods with friends a couple years ago and was sick as a dog on the drive home down the interstate. I never listened to him again on the edibility review. 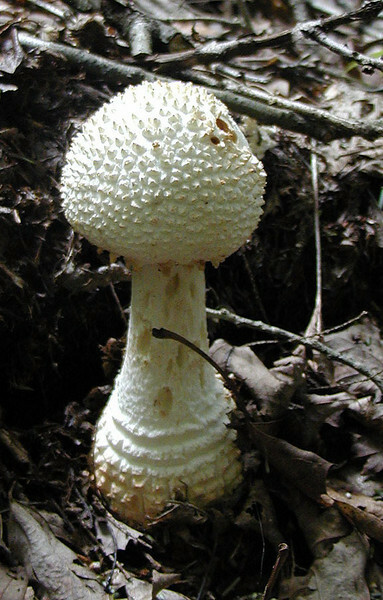 Mushrooms like this one with large bulbous bases are often in the Amanita family. Most of those are poisonous. I like to say "Amanita-No-Eata". A guess on the ID would be either a Rag Veil Amanita or a Coker's Amanita.